The Travel category winner at the 2017 Richmond in Boekbedonnerd Festival in the Northern Cape. 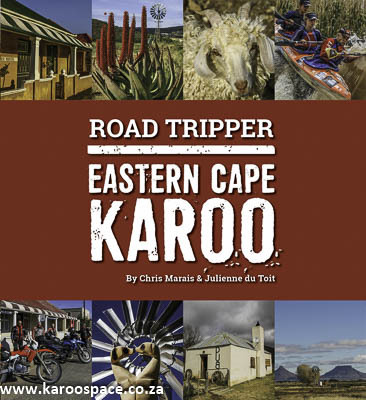 The Road Tripper – Eastern Cape Karoo by Chris Marais and Julienne du Toit has won the Travel category of the SA Independent Publishers’ Awards at the 2017 Richmond Bookbedonnerd Festival, announced festival founder Darryl David. 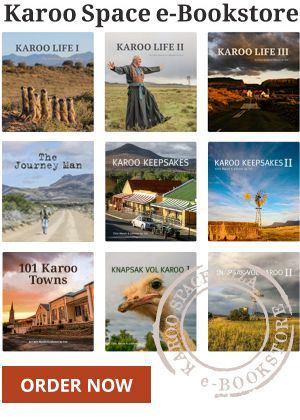 Published by the authors, the innovative traveller’s companion to the Karoo Heartland region of the Eastern Cape was launched last year and is distributed mainly through a network of farm stalls, gift shops and dedicated bookshops. 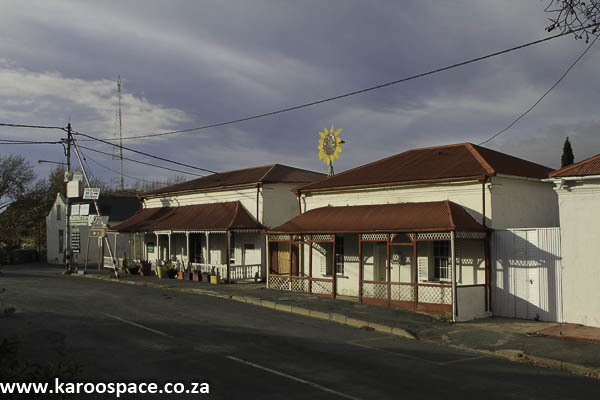 “If you’re coming to the festival, be sure to take a morning out and go on a little dusty road trip to Deelfontein – the Richmond Info office will show you where it is. 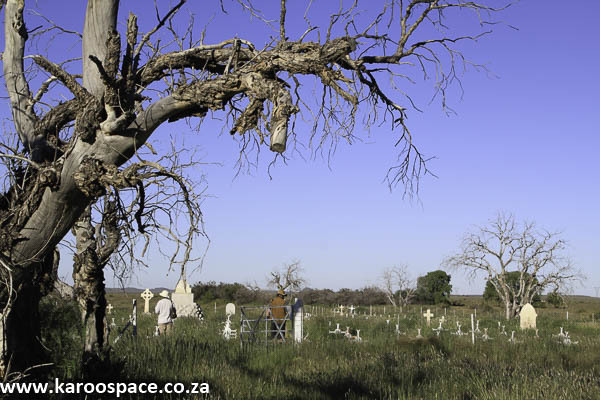 Deelfontein cemetery – well worth a little road trip from Richmond. Yeomen was also tipped at the festival as one of the top three overall winners. 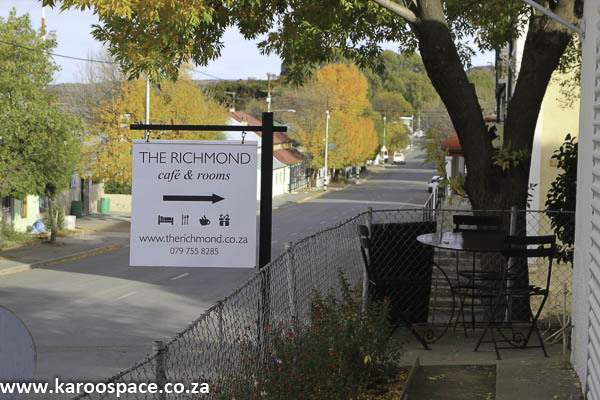 The Richmond Cafe & Rooms – one of the prime hangouts. “A must-visit spot is Richmond Books and Prints in an evocatively named building (Huis van Licht en Schaduw), owned by John Donaldson.